Facebook Messenger is used by a lot of brands and businesses to communicate with their users, customers, or fans. According to Facebook, 1 billion messages are sent on the platform each month between businesses and users. So it only makes sense that Facebook wants to monetize that and businesses want to take advantage of it to reach more users with special offers or product ads. And that's what Facebook is starting to do. 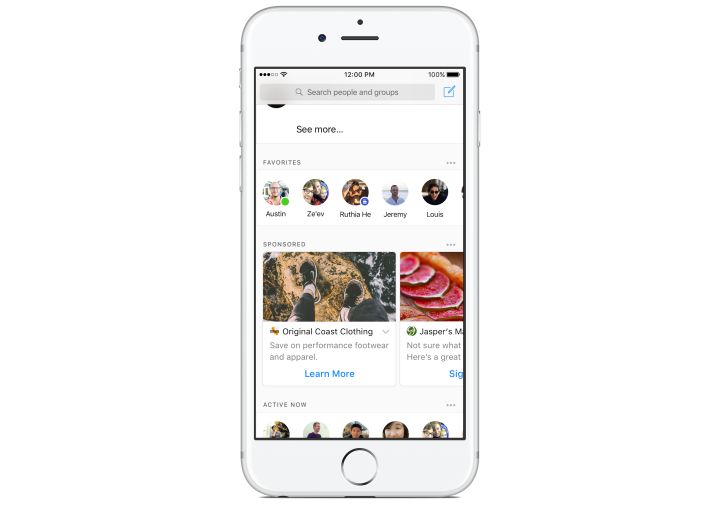 In the coming weeks, a test group of people in Thailand and Australia will start seeing ads in their Facebook Messenger app. These will show up on the Messenger home screen below recent conversations, as is the case with birthday notifications or the list of currently active users. Even though Helpouts didn't last, Google is apparently committed to exploring new uses for its Hangouts chat infrastructure. For example, go search for a restaurant. You might see a new item in the info box alongside review snippets and the location. 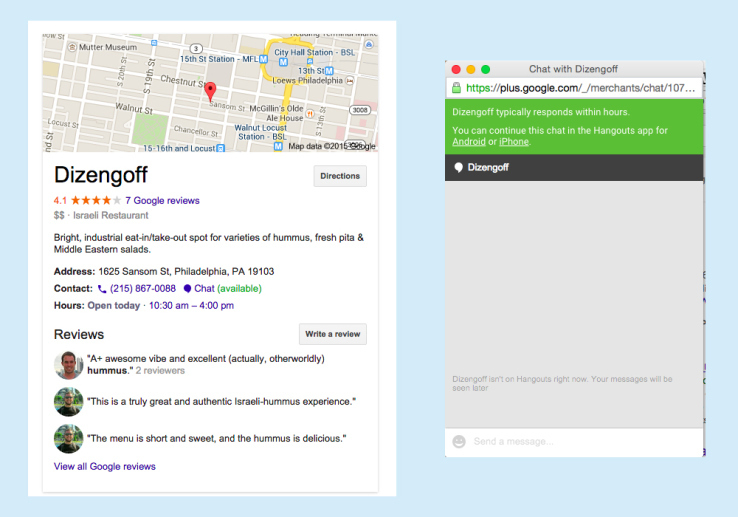 Google is testing live chat with businesses from search results. 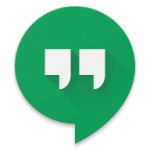 If you launch this feature, you'll be taken to a new Hangouts conversation on the web or mobile so you can ask questions or get clarification. 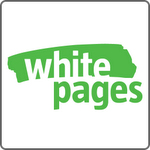 Following up on the success of its Current Caller ID app, WhitePages has released version 2.0 of the WhitePages app, bringing a slick new Android-oriented UI and new social/discovery features along for the ride. Besides its newly holo-fied interface design, the WhitePages app adds the ability to connect with friends and neighbors with a Nearby People functionality that can be used, as seen in the video, to "find a friend" and plan a lunch. Likewise, you can search for nearby businesses and restaurants, even taking a sneak peek at restaurant menus. Once you get tired of finding new friends and businesses, you can share where you're going (or where you've been) with friends via various social media outlets, and invite them to come along.